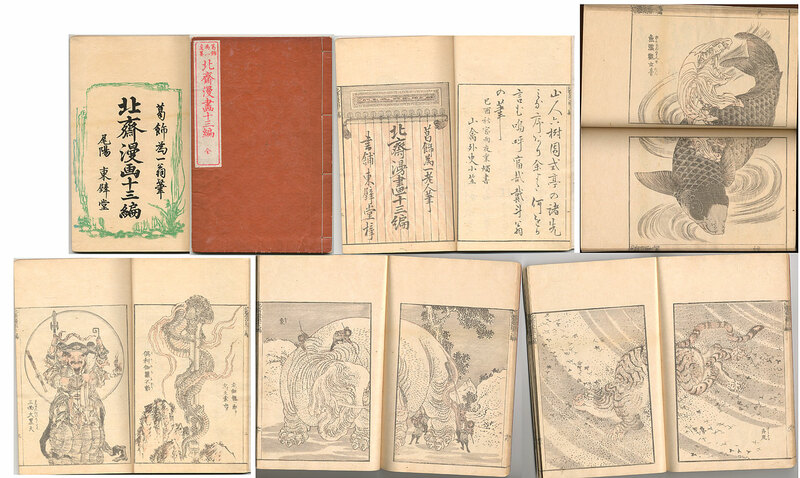 Comment This is a Meiji issue of Volume 13 of Hokusai's Manga. The original was published posthumously in 1849. This volume has 53 pages of illustrations and 5 introductory pages. Besides the usual drawings of people and landscapes there are several large animal drawings and a couple of dragons. Book cover, 3 introductory pages and 8 pages of illustrations shown.